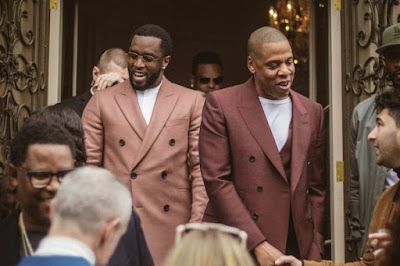 American rapper, Jay Z has dethroned music executive, Sean “Diddy” Combs to rank as the world’s wealthiest hip-hop artist. Thanks to heady champagne and cognac investments, according to data released by Forbes magazine on Thursday. The 48-year-old Hard Knock Life rapper and music mogul increased his estimated net worth in 2017 to $900 million, up by $90 million from the year before in the annual list compiled by Forbes. Combs, 48, who had been hip-hop’s wealthiest artist since Forbes first released the list in 2011, grew his estimated $825 million fortune by a tepid $5 million last year, Forbes said. The primary driver of Jay Z’s wealth came from investments in luxury champagne brand Armand de Brignac and D’Usse cognac, while lukewarm trends in the vodka and cable television sectors weighed on Combs’ investments in Diageo’s Ciroc vodka and the TV network Revolt, Forbes said. Jay Z’s tenure at the top spot may be short lived. Hip-hop’s third-wealthiest figure, Dr. Dre, is expected to add a nine-figure windfall of Apple stock to his estimated $770 million wealth this summer, Forbes said. Apple acquired Dr. Dre’s headphone and audio speaker company Beats in 2014. Drake and Eminem rounded out the latest top five, tied with an estimated $100 million fortune each. Forbes compiled the list by valuing major assets, examining financial documents and consulting analysts, attorneys, managers and other industry players.